The 1909 FA Cup Final. The history of the FA Cup dates back to 1871–72. Aside from suspensions during the First and Second World Wars, the competition has been played every year since. The inaugural FA Cup tournament kicked off in November 1871. After thirteen games in all, Wanderers were crowned the winners in the final, on 16 March 1872. The following year, Wanderers retained the title after receiving a bye to the final, the 'Challenge Round', where they beat Oxford University to retain the Cup. The rules were changed for the following season, to help inspire teams to try to get to the final, instead of knowing who their opponents would be before they reached it. 1875 saw the first final to be replayed, between Royal Engineers and Old Etonians, on Saturday 13 March (score 1-1 after extra time, in the first drawn final) and on Tuesday 16 March (score 2-0 between the respective teams), both times at Kennington Oval. The modern cup was beginning to be established by the 1888–89 season, when qualifying rounds were introduced, with clubs competing on regional basis until only one was left for the Fourth Qualifying Round, and in the same season, the 'magic of the cup' began when Warwick County became the first non-league side to beat a First Division club on 6 October 1888, winning 2–1 away at Stoke. In the 1900–01 final Tottenham Hotspurs became the first and only non-League team to win the FA cup final, winning 3–1 against Sheffield United in a replay after drawing the first game 2–2. Sandy Brown scored for Tottenham in every round, scoring two goals in the final and one in the replay. In 1915 the competition was suspended due to the First World War. Sheffield United beat Chelsea 3–0 at Old Trafford in the last final, which became known as "The Khaki Cup Final" owing to the large number of uniformed soldiers in attendance. The 1923 final was the first FA Cup final to be played in the newly opened Wembley Stadium (1923) (known at the time as the Empire Stadium). The practice of teams from the top two divisions receiving exemption to the Third Round of the competition began in the 1925/26 season. The 1945–1946 FA Cup was the first played since the competition was suspended during World War II. As the intermediate Football League North and Football League South were of variable quality, to boost clubs' income each tie was played over two legs (one home, one away with the scores being added together to decide who went through) to increase the number of matches in the season. Matches that were level at the end of both legs were replayed at the stadium of whichever team had played the second leg away. The semi-finals and final (both played at neutral venues) remained single match affairs. The final was won by Derby County. In 1967 the first substitutes were allowed after many years of finals proving unbalanced due to injuries which forced players into leaving the field early. Players had suffered broken bones in the 1957, 1959, 1960, 1961 and 1965 finals. They were not, however, used until the next year, when Dennis Clarke replaced John Kaye for West Bromwich Albion. 1970 saw the first Wembley final to go to a replay. The replayed final was played at Old Trafford due to the damaged state of the Wembley pitch caused by the Horse of the Year Show and was contested between Chelsea and Leeds United. 1970 also saw the first third place play-off with Manchester United beating Watford 2–0. This play-off proved short-lived, and the 1973–74 competition saw the last 3rd place play-off match, contested by Leicester City and Burnley, with Burnley winning 1–0 at Filbert Street. In 1972 the FA Cup celebrated its centenary (though this was not its 100th season, due to interruptions for the two world wars). Leeds United won the final against holders Arsenal. The 1973 FA Cup Final was the 50th anniversary of Wembley as a venue for the cup final. In 1981, The 100th FA Cup final took place. The 1981 final was the first final to be replayed at Wembley Stadium. Previously, replayed finals had been held at other neutral grounds. In 1991, after the Arsenal v Leeds United fourth round tie went to a third replay, The FA decided that one replay, then extra time, then a penalty shootout would be a suitable alternative to a fixtures backlog. From season 1991/92, multiple replays in the competition proper were replaced by one replay followed by penalty kicks. The first penalty takers in the competition proper were Rotherham United and Scunthorpe United, with Rotherham winning 7–6 in a first round replay. In the qualifying rounds, multiple replays lasted until 1996/97, with the game between Morecambe and Lancaster City on 4 November 1996 being the last second replay. In 1991 the first semi-final was played at Wembley, with Arsenal losing to Tottenham. In 1993, both semi-finals were played at Wembley Stadium for the first time ever, because both matches were derbies – one between Arsenal and Tottenham, the other between Sheffield Wednesday and Sheffield United. In 1993, the last ever FA Cup final replay took place, with Arsenal beating Sheffield Wednesday 2–1. Arsenal became the first team to win both the FA Cup and the League Cup in the same season, beating Sheffield Wednesday in both finals. In 1999, the last ever FA Cup semi-final replay took place. From 2000 onwards, it was decided that any semi-finals and finals would go first to extra time then penalties, rather than be replayed. In 1999, under pressure from The FA, Manchester United became the first FA Cup holders not to defend their title when they withdrew from the FA Cup, instead electing to take part in the inaugural FIFA Club World Championship played in Brazil. To decide who took their place, a "lucky losers" draw was held containing the 20 teams knocked out in the second round; Darlington were selected. Redevelopment of Wembley saw the final played outside of England for the first time ever, with the 2001–2006 finals being played at the Millennium Stadium in Cardiff. Upon the opening of the new Wembley Stadium, the Final returned to Wembley, but the semi-finals were played at neutral grounds. However, in 2003, it was announced that all future semi-finals would be played at the new Wembley Stadium once it had opened, and this took effect in 2008. Beginning with the 2016–17 competition, all quarter-final matches will be played to a result on the day (with draws followed by extra time, with a penalty shootout if level after extra time) instead of being replayed in the event of a draw. The 1927 final was the first ever Cup Final to be broadcast by the BBC, who produced a numbered grid of the pitch for Radio Times readers to follow the ball. This gave rise to the popular myth of the origin of the phrase, "Back to square one" (i.e. a back-pass to the goalkeeper). In 1938, after 29 minutes of extra time, it was still 0–0 between Preston and Huddersfield. BBC Radio commentator Thomas Woodrooffe declared: "If there's a goal scored now, I'll eat my hat." Seconds later Preston was awarded a penalty from which George Mutch scored. Woodrooffe kept his promise. This was also the first FA Cup Final to be broadcast live by BBC Television. The inaugural FA Cup tournament kicked off in November 1871. Four first-round matches were the first FA Cup games ever played – on 11 November 1871. The first Cup goal was scored by Clapham Rovers player Jarvis Kenrick in a 3–0 win over Upton Park (Kenrick scoring twice in the process). The following year, on 16 March 1872, Wanderers became the first winners of the FA Cup, beating Royal Engineers 1–0 at The Oval. Fifteen clubs had entered, only twelve actually played, and there were thirteen games in total. The winning goal was scored by Morton Peto Betts, who played under the pseudonym of 'A.H. Chequer'. The first Wembley FA Cup Final, played on 28 April 1923, was marked by disorderly scenes unparalleled in the history of football. Before the match a massive crowd outside the stadium rushed the gates, burst the barriers and swarmed on to the pitch. Kick-off was delayed for 45 minutes as mounted police, with PC George Scorey on his white charger "Billy" – hence the "White Horse Final" – particularly visible, encouraged people to move behind the touchlines. Bolton beat West Ham 2–0 and the first Wembley goal was scored after just two minutes by David Jack. It was estimated that 200,000 fans had squeezed into Wembley and Cup Finals were made "all ticket" after that. During a Sixth Round second-leg tie between Bolton and Stoke City on 9 March 1946, a human crush killed 33 spectators. Despite the disaster, the match continued, causing Stoke player Stanley Matthews to later say that he was sickened that the game was allowed to continue. The final of 1953 is known as the Matthews Final. The match between Blackpool and Bolton Wanderers saw Stanley Matthews, at the age of 38, in his third attempt to win an FA Cup winner's medal for Blackpool. Bolton were 3–1 up with 22 minutes remaining and, despite being reduced to nine fit men through severe injury to two players, looked set to win the match when Blackpool's Stan Mortensen scored from a Matthews cross. With less than five minutes remaining Blackpool equalised from a Mortensen free kick (his hat-trick, which remains the only one ever scored in a Wembley FA Cup Final) and shortly after the restart, with everybody anticipating extra time, Matthews passed to Bill Perry who put the ball in the back of the net securing a 4–3 victory for Blackpool. The final of 1956 saw Manchester City win 3–1 against Birmingham City. Roughly 15 minutes before the end of the game, Man City's goalkeeper Bert Trautmann (a German who had been taken as a prisoner of war by the British in 1945) injured his neck when he made a save at the feet of Birmingham's Peter Murphy. Despite being in terrible pain he continued to play till the end of match and collected his winners' medal still clutching his neck. An X-ray later revealed that he had broken a vertebra in his neck. On 17 March 2012, a Fifth Round tie between Tottenham Hotspur and Bolton Wanderers was abandoned after 41 minutes with the score at 1–1, when Bolton midfielder Fabrice Muamba suffered a cardiac arrest on the pitch. Muamba later retired from the sport following medical advice, after his heart stopped beating for 78 minutes and remained in intensive care for two weeks. Tottenham won the rearranged fixture 3–1. In 1894, Notts County became the first club outside the top division to win the FA Cup: Notts County finished 3rd in Division Two that season. However, as they have not won the FA Cup since then, this means that Notts County have been waiting longer than any other winning professional club to win the trophy for a second time. Their first ever final appearance had come the year before, where they were defeated 3–1 by Blackburn Rovers at The Oval, despite having beaten the same side 7–1 in the league only a week earlier. In 1901 Tottenham Hotspur became the first team from outside the Football League to win the FA Cup since the league was founded, with a 3–1 replay victory over Sheffield United. 1958 saw Leeds United beaten 2–1 at home to Cardiff City in the third round for the third consecutive year. In 1958 – 59 Third Division(South) Norwich City had one of the great cup runs, beating Spurs and Man Utd and holding Luton Town to a draw in the semi-final before losing the replay. Their progress from the First Round proper included wins over Ilford, Swindon Town (Replay), Manchester United , Cardiff City, Tottenham (Replay), Sheffield Utd (Replay). When Sunderland beat Leeds United 1–0 in the 1973 FA Cup Final, Sunderland were the first Cup winners from outside the top flight since West Bromwich Albion in 1931. The feat was repeated twice over the next seven seasons (by Southampton in 1976 and West Ham United in 1980) but has not been accomplished since. In 1980, West Ham United became the last side to date to win the competition from outside the top division in football. They were a Second Division outfit when they beat holders Arsenal 1–0 thanks to a goal by Trevor Brooking. Four second level clubs – Queens Park Rangers in 1982, Sunderland in 1992, Millwall in 2004 and Cardiff City in 2008 – have since reached the final, though all four lost. In 1984, Johnny Hore's Plymouth Argyle side narrowly missed out on being the first Third Division side to reach the final. In a tense semi-final at Villa Park, Watford came out on top, 1–0 victors. Starting in the first round proper, Argyle had beaten Southend United (in a replay), Barking, Newport County (in a replay), Darlington, West Bromwich Albion and Derby County (in a replay). In 1989, Sutton United beat Coventry City 2–1 at Gander Green Lane. Sutton United were in the Conference at the time, whilst Coventry were in the First Division, and had won the cup 18 months earlier. This was the last occasion that a non-League club beat a top division club in the FA Cup until Luton Town defeated Norwich City in the 4th round in 2012–13 season. On 11 December 2007 Chasetown became the smallest team ever to reach the FA Cup third round. The Southern League Division One Midlands side stunned League One Port Vale as Danny Smith's last minute goal sealed a 1–0 win after Port Vale missed two penalties. There was a five division gap between the two teams. Premier League side Norwich City lost at home to non-league Luton Town in the 2012–13 FA Cup competition. This was the first time a non-league side had defeated top flight opposition since 1989, and the first time that a non-league side had won away at a top flight side since Altrincham had won at Birmingham City in 1985–86. In 1966, Everton became only the second side ever to win the cup after being two goals down, without the need of extra time. The Merseysiders had gone two goals down with thirty-one minutes remaining before coming back to win 3–2, emulating Blackpool's achievement of thirteen years earlier, however, while Blackpool had been up against a Bolton side reduced to nine fit men, Sheffield Wednesday, by contrast, were in no way handicapped. The match, however, was largely forgotten as it was overshadowed by the World cup later that year. In 1876, Thomas Hughes was the first to score more than once in the final, in a replay match in which Wanderers defeated Old Etonians 3–0. In the same final, Alexander Bonsor from the losing side became the first to score in two consecutive finals (both of which his team lost). Eddie Kelly from Arsenal became the first substitute to score when he came on the pitch in the 70th minute of the 1971 final and scored in the 96th. Stuart McCall from Everton scored two goals after coming in from the bench in the 1989 final in the 90th and 102nd minutes. In 2001, Dagenham & Redbridge F.C. goalkeeper Tony Roberts became the first goalkeeper in the history of the tournament to score a goal, this happened in a Fourth Round Qualifying game against Basingstoke Town. In 1886, Jimmy Brown of Blackburn Rovers became the first to score in three consecutive finals from 1884 to 1886 (winning all three). In 1887, Aston Villa legend Archie Hunter became the first player to score in every round of the FA Cup in Villa's victorious 1887 campaign (beginning from the second round, as Villa had a bye in the first). This feat was bettered in 1901 by Sandy Brown of Tottenham Hotspur, who scored in all rounds from the first. In the 2012 final, Didier Drogba became the first player to score in four FA Cup Finals. Aston Villa's Bob Chatt scored the winner in the 1895 FA Cup Final with the then-fastest goal after just 30 seconds; his record stood until broken by Louis Saha in 2009, who scored in 25 seconds. 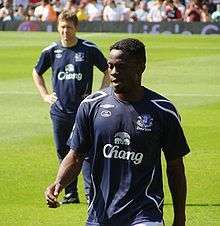 On 30 May 2009, Louis Saha scored the fastest ever goal in an FA Cup Final (after 25 seconds) for Everton, who lost 2–1 to eventual winners Chelsea. On 13 February 2010, Jimmy Kebe of Reading scored the fastest goal in the FA Cup proper after just 9 seconds of Reading's Fifth Round tie against West Bromwich Albion. In 1913, Steve Bloomer scored his 41st goal in the competition proper, a record up to that time. W. "Doc" Dowden scored 19 FA Cup goals for Wimbledon in the 1929/30 season. This is believed to be the record for one individual in a season. When Peter Osgood scored for Chelsea in the 1970 final, he became the last player to date (and ninth in total) to score in every round of the cup. In one tie, between Bournemouth & Boscombe Athletic vs. Margate, Ted MacDougall scored 9 of Bournemouth's goals in their 11–0 victory. William Townley scored the first hat trick in the history of the FA Cup final, in the 1890 match between Blackburn Rovers and Sheffield Wednesday (6–1). In 1894 Jimmy Logan scored the second hat-trick in FA Cup final history – and the last until 1953 (when Stan Mortensen scored three times for Blackpool FC in their 4–3 win over Bolton Wanderers). In 1922, England amateur international Wilfred Minter created an unusual scoring record. 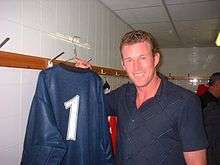 In an era when there was some dispute whether or not a hat-trick had to be scored as consecutive goals, Minter performed the feat twice in one match, as well as scoring a seventh, as he scored all of St Albans City's goals against Dulwich Hamlet. Despite his feat, they actually lost the game 8–7. Lord Kinnaird won the Cup for a then record fifth time in 1882, three times with Wanderers and twice with the Old Etonians. The first penalty in the final was not converted until 1910, with Albert Shepherd scoring from the spot in the Newcastle 2–0 Barnsley replay. The first missed penalty occurred in 1913, with Charlie Wallace from Aston Villa being the unlucky player, although Villa did win 1–0 over Sunderland. Two penalties were not converted until 1994, when Eric Cantona kicked from the spot in the 60th and 66th minutes to contribute to Manchester United's 4–0 win over Chelsea. In 1988, Wimbledon's Dave Beasant became the first goalkeeper to save a penalty in an FA Cup final at Wembley, when he denied John Aldridge of Liverpool (although Charlie Wallace of Aston Villa was the first to miss a penalty in the final). The Crazy Gang of Wimbledon defeated the league champions Liverpool 1–0 with a Lawrie Sanchez goal, and Beasant also became the first goalkeeper to captain an FA Cup-winning side. In 1877, Lord Kinnaird scored the first own goal in the final with Wanderers defeating Oxford University 2–1. In the 1946 final, Bert Turner from Charlton Athletic became famous for scoring for both sides – first he put a goal in his own net, only to equalise from a free kick a minute later. Tommy Hutchison would repeat the feat (in reverse) for Manchester City in 1981. Billy Hampson of Newcastle United, the oldest FA Cup finalist, was 41 years and 257 days old when his side beat Aston Villa 2–0 in the 1924 Final. In 1983 Norman Whiteside, at 18, became the youngest player ever to score in an FA Cup final, whilst playing for Manchester United against Brighton & Hove Albion. As of 2015 this record remains unbroken. In 2004 Curtis Weston of Millwall became the youngest ever player to play in the final at the age of 17 years and 119 days, beating the record of Howard Kendall of Preston North End set in the 1964 final. In 1985, Kevin Moran of Manchester United became the first player to be sent off in an FA Cup Final, he had fouled Peter Reid with a sliding tackle which missed the ball. United went on to win the match 1–0, after extra time. Since then, only three other players have been sent off in the FA Cup Final: José Antonio Reyes for Arsenal in 2005, Pablo Zabaleta for Manchester City in 2013 and Chris Smalling of Manchester United in 2016. Of these, only Zabaleta ended up on the losing side. At the first Final in 1872, Edmund Cresswell broke his collarbone in a charge for Royal Engineers against Wanderers ten minutes into the match, but insisted on continuing play, in goal for the duration of the match, "although completely disabled and in severe pain", according to The Sportsman's report. It has been otherwise commonplace for Cup Final players to continue playing despite injury. The first injured player forced to retire from a match was Arthur Dunn (Old Etonians), who injured a knee 15 minutes into the second half against Blackburn Olympic in 1883. His team carried on playing with ten men but lost. In 1996, Eric Cantona became the first non-British or Irish player to captain a winning side in the FA Cup. In 1997, Ruud Gullit became the first overseas manager to win the FA Cup, as his Chelsea side beat Middlesbrough 2–0. Roberto Di Matteo scored what was then the fastest goal in a Wembley cup final, after 42 seconds. Mark Hughes became the only player in the 20th century to win the trophy four times. In 2005, Roy Keane of Manchester United became the first player to play in seven finals since the 19th century. He played in the 1991 (lost), 1994 (won), 1995 (lost), 1996 (won), 1999 (won), 2004 (won) finals. In the same game, Jose Antonio Reyes became the second player to be sent off in an FA Cup final, 20 years after Kevin Moran was the first. In 2007, Manchester United's Ryan Giggs equalled Roy Keane's post-war record of appearances in an FA Cup Final, having previously played in the 1994, 1995, 1996, 1999, 2004 and 2005 Finals. The record for most FA Cup wins by a player is held by Ashley Cole, who has won it seven times (with Arsenal in 2002, 2003 and 2005, and Chelsea in 2007, 2009, 2010 and 2012). With Chelsea's victory over Portsmouth in the 2010 final, Cole beat the record of five jointly held by Charles Wollaston (Wanderers), Arthur Kinnaird (Wanderers & Old Etonians) and Jimmy Forrest (Blackburn Rovers). He extended his record by picking up a seventh winner's medal against Liverpool in the 2012 final. In the 1946 final, Arthur Turner, of Charlton Athletic, became the only player to play in the final who never played a League game for his club, since the League's inception. The 2003 Final was the first in which a goalkeeper was substituted. Paul Jones replaced the injured Southampton goalkeeper Antti Niemi. In the 2012 final, John Terry became the first player to captain the same team to four FA Cup victories. As of 2016, Kettering Town hold the record for most goals in FA Cup history having scored 870 goals between 1888 and 2016, with Ollie Burgess scoring the 800th goal against St Albans City on 11 October 2005 when scoring a hat-trick. After winning the competition from 1884 to 1886, Blackburn Rovers became the second club to win three consecutive FA Cups and remain the only club still in existence to win "three in a row" to this day, as Wanderers, who achieved the feat 6 years earlier, were disbanded in 1883. Portsmouth hold the record for holding the FA Cup the longest, but only by virtue of the suspension of the competition for World War II. In 2013, Chelsea set a record of 29 FA Cup matches without defeat (excluding penalty shoot-outs). Their loss to Manchester City in the 2013 semi-finals was their first since a quarter-final loss to Barnsley in 2008. During the 1950s, Newcastle United lifted the FA Cup trophy on three occasions within a five-year period. In 1951 they defeated Blackpool 2–0, a year later Arsenal were beaten 1–0 and in 1955 Newcastle United defeated Manchester City 3–1. In 2014, Arsenal equalled the record for the highest number of FA Cups, claiming their 11th FA Cup by winning the 2014 FA Cup Final against Hull City after extra-time. In 2015, Arsenal became the team with the most FA Cup trophies won, in the history of the competition, claiming their 12th FA Cup, by winning the 2015 FA Cup Final against Aston Villa, with 4–0, on Wembley. In 1969 Leicester City lost their fourth FA Cup Final, 1–0 to Manchester City. No other team has made it to the Final so many times without ever winning. However, 13 other teams have lost as many or more Finals but have also won the Cup at least once. The record number of Final defeats stands at 8 for Everton, although they have also won the Cup on 5 occasions. On 15 October 1887, Preston North End defeated Hyde 26–0, which remains the record score in an FA Cup tie. In 1903 Bury defeated Derby County 6–0, in what is still the highest score in an FA Cup final. They also became the second club to win the FA Cup without conceding a goal in any round. In 1959, Nottingham Forest became the first team to lose a player to injury in the Final and go on to win with 10 men, beating Luton Town 2–1 after having goalscorer Roy Dwight carried off with a broken leg after 33 minutes. 1971 saw the longest tie in Cup history. Oxford City and Alvechurch play 6 games for a total of 660 minutes. Alvechurch won the final game 1–0 to progress to the first round proper. In 1963, Manchester United became the quickest winners of all time, apart from the special circumstances of 1873. They played their first match on 4 March, after 12 postponements, and won the final on 25 May, 82 days later. The 1974–75 competition saw the record set for the highest number of games played in one season by one club. Bideford played 13 games over five rounds: one for the 1st qualifying round, two for the 2nd qualifying round, five for the 3rd qualifying round, four for the 4th qualifying round, and one for the 1st round proper. Multiple replays no longer take place, so this record is unlikely to be beaten. 1910 saw the start of a string of 14 consecutive finals (including 3 replays, thus 17 matches) in which the losing side failed to score. This series was not approached until 1994–2000, with seven consecutive finals (no replays). In 1948, Manchester United became the only team to win the FA Cup after being drawn against top-division opposition in every round. 1956–57 saw the record for highest number of rounds played in a row, when former League club New Brighton played in nine rounds. They started in the preliminary round, and progressed through four qualifying rounds to the fourth round proper, where they lost to Burnley. They had just one replay – for their first round tie. The 1977–78 competition saw this record equalled by Blyth Spartans, who progressed from the 1st qualifying round to the 5th round proper. The games for the 2nd qualifying round and the 5th rounds proper went to a replay. The 1979–80 competition saw the record equalled again, this time by Harlow Town, who progressed from the Preliminary round through four qualifying rounds to the fourth round proper, where they lost to Watford. The matches for the 2nd and 3rd rounds went to a replay. In 1959, Nottingham Forest fielded the same 11 players in every round of the competition (9 matches including replays). 1976–77 was the season with the largest number of matches (173) in the competition proper. Due to the abolition of multiple replays, the record is unlikely to be beaten. In seasons after 1996 (when penalty shootouts were introduced) the most ties (163) occurred in 2008–09. A record 763 clubs were accepted for the 2011–12 FA Cup. In the 1971–72 competition, Birmingham City became the first team to win a match in a penalty shootout, beating Stoke City 4–3 after a 0–0 draw in the third-fourth playoff. The 2005 FA Cup Final between Arsenal and Manchester United was the first final ever to have to go to penalties as the score was still 0–0 after extra time. Arsenal won the shootout – and thus the Cup – 5–4. It was the first 0–0 draw in an FA Cup final since 1912. On 22 January 2008, Swindon Town became the first club in the FA Cup to miss all four of their penalties in a penalty shootout, against Barnet in a third round replay. In 1991, Nottingham Forest's Mark Crossley became the second goalkeeper to save a penalty in a final at Wembley, denying Tottenham's Gary Lineker. Tottenham won the match 2–1 after extra time. In 1889, Preston North End became the first club to achieve the double of winning the FA Cup (beating Wolverhampton Wanderers 3–0) and the Football League Championship in the same season. This double was even more extraordinary in that the league was won without a single defeat, a feat which would not be repeated in the top division until 2003–04, by Arsenal. Equally impressive was that the cup was won without conceding a single goal. Such was the team's dominance that it was nicknamed "The Invincibles". In 1897 Aston Villa won the FA Cup and League Championship on same day, with results in League matches confirming their championship as they beat Everton 3–2 in the final. 1961 saw Tottenham Hotspur become the first club in the 20th century to win the FA Cup and league championship in the same season, known famously as The Double. They also retained the FA Cup the following year. In 1986, Liverpool beat Everton 3–1 in the first all-Merseyside FA Cup final to complete the double and claim their first FA Cup triumph for 12 years. The teams would meet again in the final just 3 years later. In 1994, Manchester United completed the double thanks to a 4–0 win over Chelsea at Wembley. Eric Cantona scored two penalties and the other goals came from Mark Hughes and Brian McClair. In 1996, a late goal from Eric Cantona saw Manchester United become the first team to win the double twice as they beat Liverpool 1–0 at Wembley, a week after clinching the league title and overtake Tottenham's total of eight cup wins. In 1998, Arsenal beat Newcastle 2–0. This was the second time Arsenal had done the domestic double, which includes winning the Premier League and FA Cup in the same year. In 1999, Manchester United completed The Treble by also winning the FA Premier League and the UEFA Champions League. In 2002, Arsenal matched Manchester United's record of three doubles as they defeated Chelsea 2–0 at the Millennium Stadium and clinched the league title four days later. In May 2010, Chelsea became the seventh club to complete the league and FA Cup "Double", by beating Portsmouth 1–0 in the 2010 final. In 1873, Sheffield confirmed a unique place in FA Cup history, knocking out Shropshire Wanderers on the toss of a coin; the only time a tie has been decided in this way. The only game to be played on Christmas Day took place in 1888, Linfield Athletic beating Cliftonville 7–0. In 1921, Birmingham set the record for shortest FA Cup run – they forgot to send in their entry form. In 1931 West Bromwich Albion became the only team to win the FA Cup and get promoted in the same season, defeating Birmingham City 2–1 in the final. In 1990, Manchester United won the competition in a replay against Crystal Palace. This was United manager Alex Ferguson's first trophy at United, and this success is seen by many as having saved him from being dismissed after 4 unsuccessful seasons. For the first time, the FA Cup was played under a roof in the final of the 2002–03 season, held on 17 May 2003 at the Millennium Stadium in Cardiff, with Arsenal and Southampton benefiting from cover from the rain. Arsenal were 1–0 winners. Wigan Athletic became the first side to win the FA Cup and be relegated in the same season, after beating Manchester City 1–0 in the 2013 final. Their fate in the Premier League was sealed three days after their triumph, following a 4–1 defeat to Arsenal. In 1883 Blackburn Olympic broke the "old order of things" to defeat Old Etonians in the final to become the first professional club to win the trophy. The win marked a turning point in the culture of the game in England. In 2002, Team Bath (from the University of Bath) became the first university team to enter the competition since Gonville & Caius in 1881, and progressed through the qualifying rounds before being knocked out in the first round proper by Mansfield Town. In 1914 Swansea Town became the first club from South Wales to reach the second round. They were beaten 2–1 by QPR. The 1927 final resulted in a Cardiff City victory over Arsenal. To the present day, Cardiff City are the only non-English-based team to win the trophy. In 1901, Tottenham became the first team to attach ribbons in their team colours to the trophy, a tradition that continues to this day. In the 1933 final, Everton players wore shirts numbered 1–11, and Manchester City players 12–22. This was the first major competitive game ever to have the players' shirts numbered. The 1973 FA Cup Final was the only time (to date) that a coloured ball (orange) was used in an FA Cup final. In 1914, George V became the first monarch to watch the FA Cup Final between Burnley and Liverpool in the last cup final played at Crystal Palace. The 'Matthews Final' of 1953 was the first football match attended by The Queen, in her Coronation year. The 1981 final contained what many consider to be the greatest ever final goal, scored by Tottenham's Ricky Villa who beat several players in a mazy run before slotting the ball home. In 1999, Ryan Giggs of Manchester United scored in extra time to defeat Arsenal 2–1 in FA Cup semi-final replay. The goal was voted the greatest in FA Cup history in 2003. ↑ Collett, Mike (2003). The Complete Record of the FA Cup. Sports Books. pp. 16–17. ISBN 1-899807-19-5. 1 2 Collett, Mike (2003). The Complete Record of The FA Cup. p. 878. ISBN 1-899807-19-5. 1 2 Collett, Mike (2003). The Complete Record of The FA Cup. p. 795. ISBN 1-899807-19-5. ↑ "No replays in the 2017 Emirates FA Cup quarter-finals" (Press release). The Football Association. 26 May 2016. Retrieved 25 June 2016. ↑ "Fabrice Muamba was 'dead' for 78 minutes – Bolton doctor". BBC Sport. 21 March 2012. Retrieved 24 March 2012. ↑ "FA Cup Trivia". www.thefa.com. Retrieved 18 May 2008. 1 2 "Chelsea 2–1 Everton". BBC Sport. 30 May 2009. Retrieved 31 May 2009. ↑ Ward, Andrew (1992). Soccer's Strangest Matches. pp. 53–55. ISBN 0-86051-771-3. 1 2 Collett, Mike (2003). The Complete Record of The FA Cup. p. 790. ISBN 1-899807-19-5. ↑ Warsop, Keith (2004). The Early F.A. Cup Finals and the Southern Amateurs, A Who's Who and Match Facts 1872 to 1883. Tony Brown Soccerdata. pp. 40,71. ISBN 1-899468-78-1. ↑ The Early F.A. Cup Finals. p. 53. ↑ "Chelsea 1–0 Portsmouth". BBC News. 15 May 2010. ↑ "Arsenal 3–2 Hull City". BBC News. 17 May 2014. ↑ "Arsenal 4–0 Aston Villa". BBC News. 30 May 2015. ↑ Collett, Mike (2003). The Complete Record of The FA Cup. p. 782. ISBN 1-899807-19-5. ↑ Collett, Mike (2003). The Complete Record of The FA Cup. p. 537. ISBN 1-899807-19-5. ↑ "Arsenal 4–1 Wigan". BBC News. 14 May 2013.